What have you been waiting for? Try Aerial Hoop and Aerial Cube lessons today! Aerial hoop and Aerial Cube lessons Leyland, Preston, Lancashire. Classes held at CrossFit, Marathon Place, Leyland, PR26 7QN or in your own gym/studio/home. Weekly Aerial Hoop and Aerial Cube Classes in Leyland, Preston, Lancashire – with NorthWest workshop and private tuition availability. Aerial is a fantastic thing. A hobby, a form of fitness, a sport, an addiction, a social pastime… whatever you may think it will be to you, it will turn out to be so much more. No matter what age or fitness ability, everyone has to start somewhere. We offer weekly Aerial Cube and Aerial Hoop fitness classes in Leyland with a mixture of all ages and all abilities – from total beginners to aerialists with a few years experience. Some who are very focussed on progressing, others who just like to have fun on a weekly basis with their new found aerial friends. If you are considering starting Aerial Hoop or Aerial cube fitness classes, but have questions or concerns, just get in touch. If you would like your gym or studio to host an Aerial Hoop or Cube workshop, just ask them to get in touch with us to enquire about availability. Alternatively if you want to try it out first but don’t fancy your first attempt in a class environment, why not try an hour private tuition? 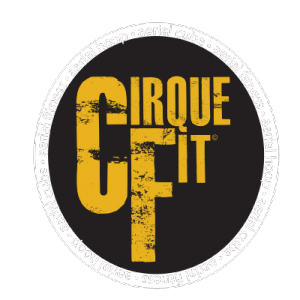 CirqueFit is an Aerial Arts class with a mixture of Aerial Hoop, Aerial Cube and fitness workout. Learn the art of aerial, whatever your age or ability. We cater for students who are complete beginners working through to advanced moves. In addition to regular fixed location Aerial Hoop and Aerial Cube classes, we can also offer travelling workshops and private tuition. If you would like to host a CirqueFit Aerial Hoop and/or Aerial Cube workshop at your gym / studio, this is not a problem as we have transportable rig and equipment. Please contact us via our Facebook page. Classes held at CrossFit and other North West Locations. Our aerial instructor, who is in her fifth year of teaching, is freelance in the North West and also runs weekly classes in the PR area. Please contact us to enquire about availability, if you are interested in hosting a CirqueFit workshop in your Gym or Studio, would like to join a class as a student or to enquire about private tuition.